Some things to think about to help you plan your own networking story! What do you think would be the most interesting/helpful thing for your listener to know about your professional experiences? What are you hoping to learn from this person? Ask-What would you like to know that I have not shared? How can you project your unique experiences in 30 to 60 seconds? Make it interesting and be enthusiastic. Say what motivated you to do what you were doing. Speed Networking is an efficient, face-to-face professional networking model similar to “speed dating”, that enables participants to make new contacts through one-on-one focused conversations lasting between 2-5 minutes. We are using speed networking to help you forge new connections. It’s organized chaos – loud, energizing, and fun! Retailers are randomly assigned a starting station and will have 2 minutes to meet with the Partner. Once the speed part is over, there will be time for people to reconnect with those they wanted to talk to in more detail. Make Your Speed Networking Experience a Success! 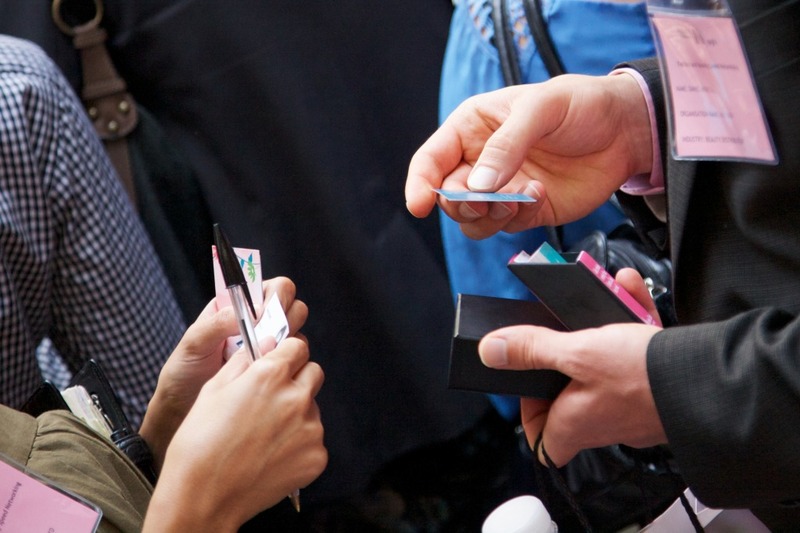 Take 50 or more business cards - Sounds basic but you wouldn’t believe the number of people who run out of cards before the event is over, or didn’t think to bring them along. Take plenty, you may get the chance to meet more people than you expect. Refine your message –your 60 second story or elevator pitch. Have it ready and say succinctly what you would like to achieve or learn. Two minutes isn’t long, so forget about listing your complete professional and personal life history. Pick a couple of key things and find an engaging way to describe them. By the time you are opposite your 20th partner, you will be desperate for them to describe what they’ve done in an interesting way. And they are praying for you to do the same! Take notes *and don’t be offended if you see someone writing on the back of your business card – this practice can be very good for jogging the memory * Exchange business cards and take notes about the speakers’ background on the back of their business card.